Lahaina News. August 18th 2004. KAANAPALI – With questions about drainage, water quality, traffic congestion, unit count and impacts on visual and open space resources, the West Maui Preservation Association has filed a Petition to Intervene in the Shoreline Management Area application permit to develop North Beach Lot 2 by SVO Pacific, a division of Starwood Hotels & Resorts Worldwide Inc.
Starwood submitted plans earlier this year to expand operations of the Westin Kaanapali Ocean Resort Villas to the north, adding more than 11 acres and 258 units to its growing inventory of timeshare units on the West Side. A hearing on that application is slated before the Maui Planning Commission on August 24. The petition to Intervene was received by the Planning Department on August 6. Attorney for the intervener is Issac Hall. The nonprofit West Maui Preservation Association was formed in June of this year. It is an organization dedicated to preserving, protecting and restoring the natural and cultural environment of West Maui, the Petition reads. 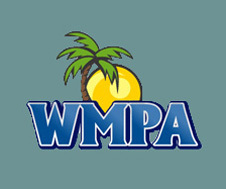 Sharyn J. Matin is the president of the WMPA. She is an attorney, part-time resident and an owner at The Mahana, the property immediately to the north of the North Beach Subdivision. "Our group is composed of concerned local citizens." she said. WMPA considers the drainage of runoff, either directly or directly, into the ocean unacceptable. "The proposed development, as currently planned, will adversely affect Ms. Matin and other supporters of the WMPA, because it will diminish their use and enjoyment of their properties and cause economic harm to them. It will have adverse impacts on protected resources within the CZMA (Coastal Zone Management Area)...." the Petition claims. "We are now proposing a plan to eliminate the discharge into the ocean. They (Starwood) have been receptive to working with us." Matin commented. Traffic impacts may not be as easy to mitigate. The proposed substitute for the Lahaina Bypass, meeting Condition 7 of the SMA subdivision requirements, will not alleviate the existing adverse traffic impacts to the same extent as the Lahaina Bypass, the Petition notes. With two North Beach Subdivision projects separately on the planning panel's agenda, WMPA is asking for a deferral and concurrent consideration, "so that it can access the cumulative traffic impacts of both these projects..."
Intrawest, a leading developer and operator of village-centered destination resorts in North America, has proposed 700 units on Lot 4, immediately to the south of The Mahana. "We have notified Intrawest of our intention to intervene in that process also," Matin added. According to Planning Director Mike Foley, "The Maui Planning Commission usually grants interventions. If so, then it goes to mediation."